Should the Guard Position & Pursue Orders be brought back? Per wrote: No, not going to add back buttons that do not do anything. it is not broken now so why not put order buttons back? Per wrote: I suggest you post the patch he made so that it could be added to 3.1 branch for future reference. there is going to be another 3.1.6 release? you do not want this in 3.2 at all? If you have a patch you could just post it somewhere instead of using up people's time in endless discussions. I think KlassKill just trying to tell, that there was no real reason to remove whole row of buttons. As I mentioned early in topic, I'm not trying to "bringback" persue button. I just want to point out that you removed those button so later add re-newed ones. Well you already have. new primary orders (stop/move/attack) so put them there like I proposed earlier. (and you have agreed, so make it happen for 3.2 final release). And than we can continue discussion without any issues and make new suggestions etc. Since there seems to be a little confusion perhaps i can help, as i see it units should exhibit the following behaviors depending on which command has been issued by the player. Do not move from the current location but shoot at anything that comes in to range. Typically this order would be used with long range units like ripple rockets the artillery should stay at there current position and should not follow the radar unit but should engage anything that comes into range of said radar unit. Shoot at any target that comes into range and chase the target till its dead. Typically I don’t use this because I prefer to maintain control over my units. Now this is where things get a little tricky and seems to be where most of the confusion is so let me see if I can clear this up. This is the default behavior of a given unit this behavior will causes units to move towards and attack units that come in to range but those units will not otherwise chase targets if the target runs away. Guard position on the other hand is a secondary order that players can give to make units protect a given structure, unit or location. Now typically I would issue the Guard Position command to a pack of VTOLs and have them circle over say a narrow cannon this will cause them to attack any target that comes into range and when they are out of ammo go back to base re-arm then return to the assigned area until more enemy units show up or I tell the unit to do something else. 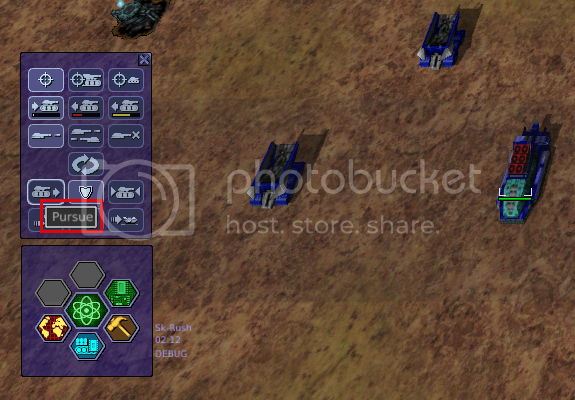 so what is needed here is a way to issue the hold position and guard position commands, now most other RTS games like C&C simply use a hot key for that but personally i find that be be less then user friendly so it would be better to have a button with in the GUI that will allow me to issue those commands. hopefully this should make things a bit clearer. Personally I hate hot keys as I forget what does what and in the menu I can see it so removing it was anyway! Again I ask for it to be reimplemented... and make it high priority!!! I do have one question about this since the buttons have been removed how do i now order units to hold position ? pursue is a none issue because i never use that and i don't think anyone else does either, but the hold position command is something that i use a lot with my artillery units. 2 - Unit options to: Hold Position, Guard Position, and Pursue. So, without further ado, I also subscribe to this petition. Already voted YES! IF IT AIN'T BROKE, DON'T FIX IT!!!. So why mess with stuff that works and has its purpose?? Just for the sake of changing something??? I always take a fancy at how different they talk and spell, compared to us Yanks or Southern Rebels. Even the Canadians have a very few words pronounced and spelled different. New things are almost always good, but never at the expense of loosing old features. Removing some things just because they don't always works perfectly is not at all a good philosophy in general, unless you are replacing them with something similar and better. And for coding in particular, this is a big no-no, in my opinion. If you don't know how to fix it, or you don't even care to bother trying, at least just leave it as is, and maybe warn people about it in a KNOWN BUGS notice, just like they do for Linux Distro releases. Or like in the Campaign DEBUG mode they have this warning about the "time toggle" cheat, I believe it says something like Warning! This cheat is buggy. We recommend to NOT use it. And also, I simply LOVE your remark about adding to Pumpink's work, not deleting it. Berg wrote: On Jul 29, 2015 Berg said: I have refrained from further comment but from your posts its clear your not going to listen to the community . So I state for the record this method of coding is not productive ..."If YOU cant fix it you delete it" that’s not how real world game enhancement works i know you called me a stick in the mud and scared of new things when i ranted about you deleting the HQ, and you didn’t so that was good but every time i look at the game lots more stuff is gone. Please stand back and see all the things you have broken and rather then move on deleting all the broken bits you created Fix the bugs. I see no way forward with these methods of deleting code soon you will have nothing left and you must admit you have removed many things over the years you call it brittle and fragile code the idea was add upon pumplkins fine work not delete it. Sorry i have the need to say this. The only minor glitch I ever run into is that quite often you have to re-issue the HOLD POSITION order, as after a short while, units tend to ignore it for some reason, and start moving around again. Very rarely, the same thing happens with HOLD FIRE or RETURN FIRE ONLY orders, which is something I always use, especially when I attack the very last scavenger outpost, at the end of Campaign Alpha 1, so the mission will not end, since it is the only one with no mission timer, thus you can "milk" it for power build up. I always leave the Scavenger Power Plant in that outpost intact, get the artifact, do the all 3 steps of the resulting research, and leave the game on for a few hours, until my power gets well above 25,000 or so (or if I don't have the time to wait, I just use the DEBUG mode, speed up the game to x100, and get all the power I want in like 2-3 minutes). Other than that, all works just fine. As you can clearly see by the video, once they have locked onto the units that are running away, they will go after them at all cost, and they don't care about other threat levels or anything else around them. There are a few times the units go out of sight range as well, and the units still pursue them. Now, can we agree that it is working, as it should in the video? Who cares how this Pursue function works? It was a part of the original code, so it was put there for a reason, and IT DOES WORK. As well as all the other orders that you (or whoever else) decided to remove. I agree with Berg, removing stuff just because you don't like it, or simply think it's not fair or not working properly is not OK. Pursue does a lot more than just 'auto attack', as 'auto attack' is the default behaviour already, unless you actively put a unit on 'hold fire' or 'return fire'. Pursue would mean that you would follow enemy droids when they retreated out of firing range. I have trouble finding old enough code where 'Pursue' actually worked to see what it would do, but I my guess is that it cheated by reading out the coordinates of the pursued unit out of memory, rather than having any kind of intelligence (go to last seen coordinates, or find an intersection course, etc.). So to reiterate, again, I would be happy to have a Pursue mode in the game, once it is clear how it should work. The old code simply did not work, and had no clear design, and then there is no point in having it there. and it was tested by me in the default version that comes in my Linux Mint Software Repository, which is Version: 3.1.1-2. Per wrote: Just a quick control question: Does Pursue work in 3.1? MIH-XTC wrote: I just found this thread for the first time and read the whole thing. Ironically, the pursue function is what caused me to start making WZ videos, as strange as that might sound. See 17:45 mark and observe grenadier behavior a little while. With pursue they have a mind of their own and will continue hunting down units beyond where they were told to patrol to. Since they have longer range than all other weapons during that time of game I don't have to worry about micro managing them. What's most desirable about pursue behavior in this case is that they periodically advance forward (move) which allows other units to easily retreat (not get stuck). Excellent tactics, buddy. I just learned something new, thanks. Im sorry the topic is not over I never thought things were broken till you removed them without notice. Please listen to the players. I know you have classed me as a rabble rouse and a malcontent but please stop removing features. We want the removed stuff back. Start with unit orders and work way back to formations. Formations??? 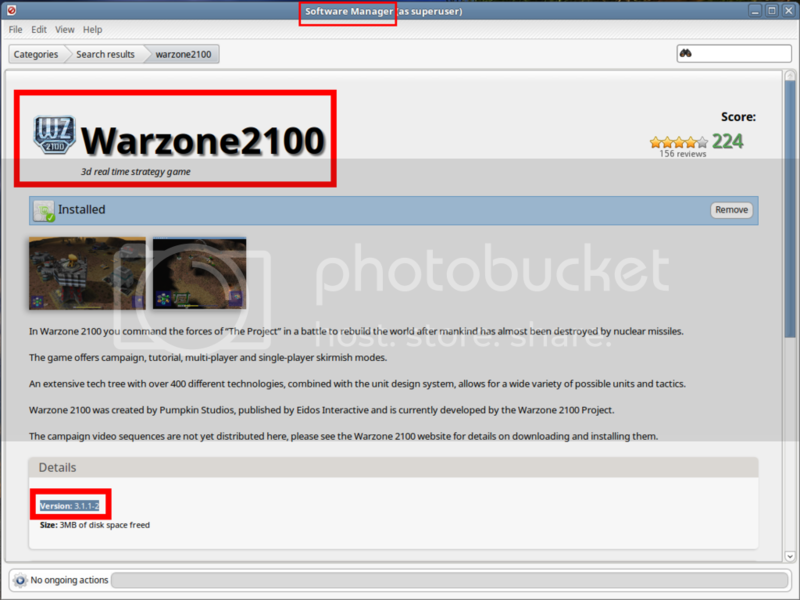 I wasn't even aware WZ2100 ever had that. Can you describe that feature for me and others, please? And again Berg, I agree with you 100%. Like you said: WE WANT THE REMOVED STUFF BACK! Here is video of proof! I wonder, how many proofs and arguments will it take to finally convince them to put those features back???? It seems, that some people took it personal that those buttons get removed. It's a very emotional discussion. What I can say for the way I play I would like to get the old hold order back. Not as a button, but as a working primary order. At the moment (3.2.3 and master f2d71ee) the hold order just worked as a "stop moving" order. Artillery is moving in the direction of the sensor unit as soon there is no fire order. Trucks are moving, when there is something damaged in their sight. And especially the behavior of repair units is annoying. They are spinning around, getting in the way of the combat units and commit suicide by getting between the fronts. I also like to place AA-units at places where enemy vtols will come to gain some experience. And even with the primary hold order these units are moving when the vtols are destroyed. In short: I want a hold order that means the units hold their ground until I give them the order to move or they retreat for repair. I don't care if it's a primary or secondary order.